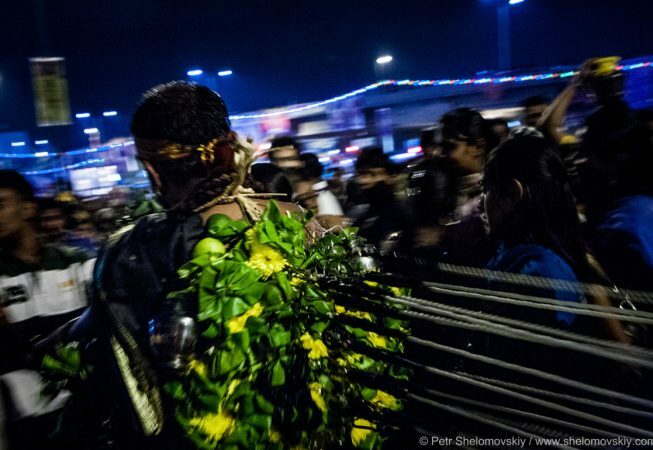 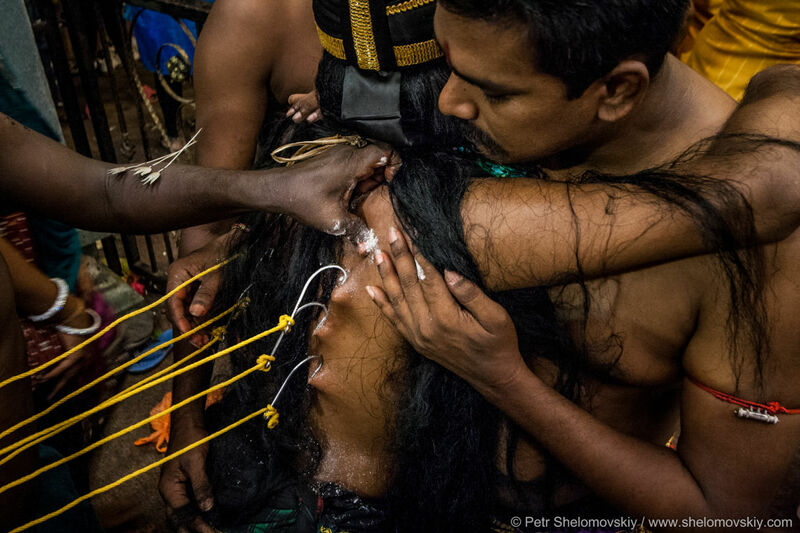 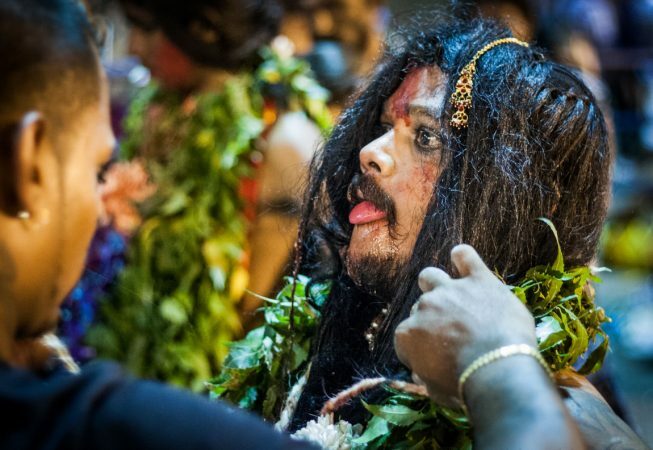 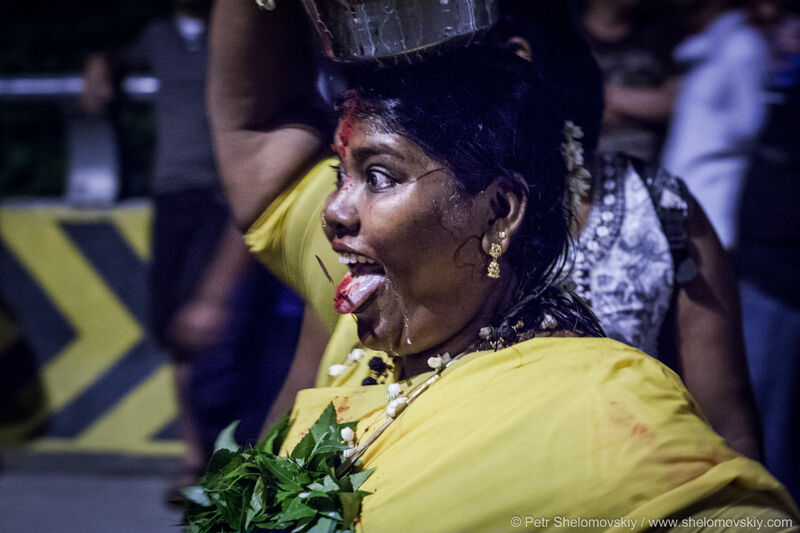 Thaipusam is a Hindu festival celebrated by the Tamil minority in Malaysia on the full moon in the Tamil month of Thai. 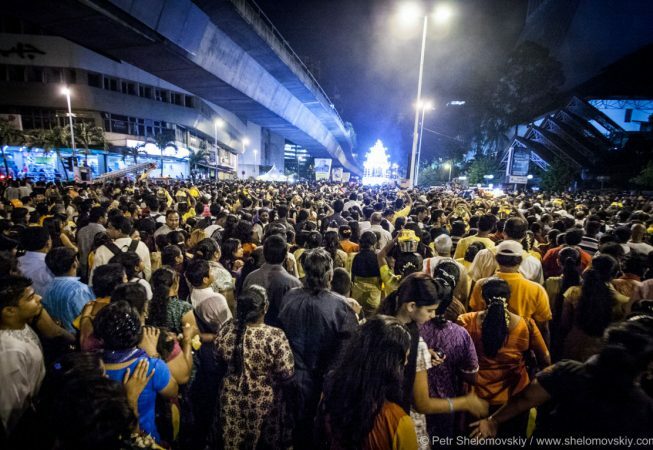 In Kuala-Lumpur festivities start at midnight at the Sri Mahamariamman Temple, in the heart of the city. 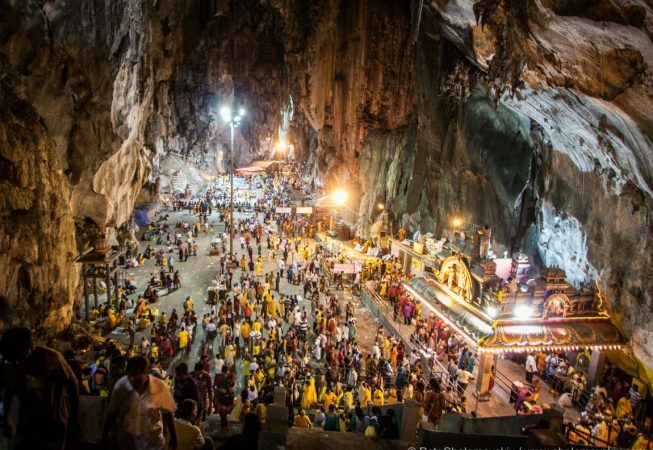 Then several thousand of people proceed for 15 kilometers to the Batu Caves, following the chariot with the statue of god. 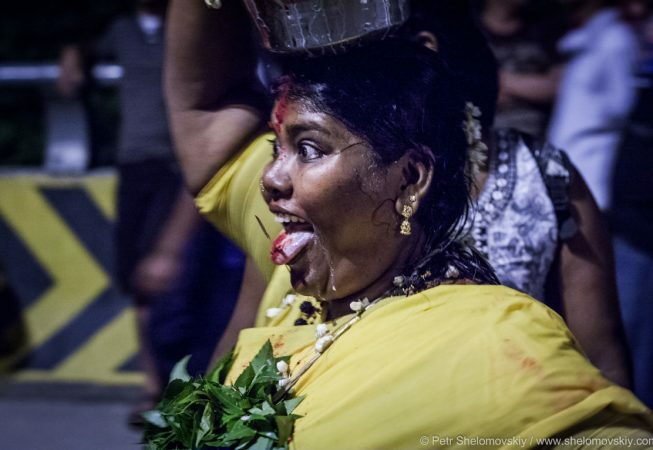 Some people are carrying milk pots on their heads. We walked with the devotees right to the caves where road culminates in a flight of 272 steps to the cave entrance. 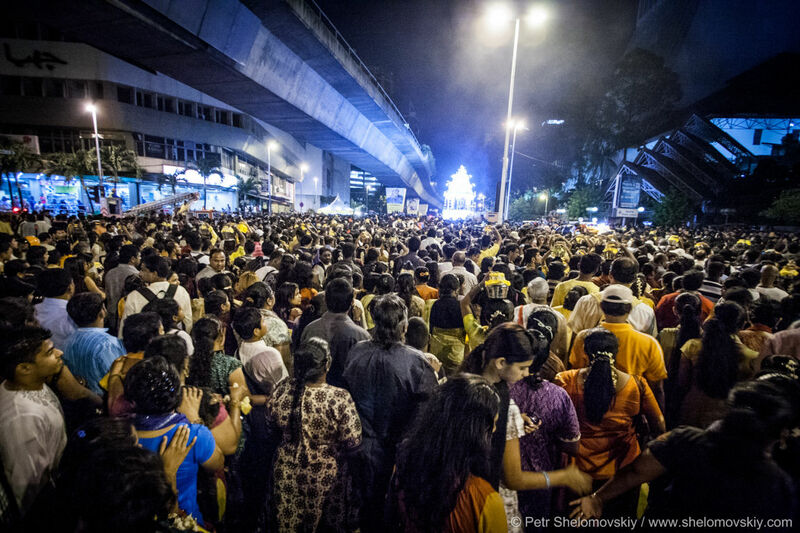 During the all length ow the way there were smiling people offering us food and drinks to help us to complete the journey. 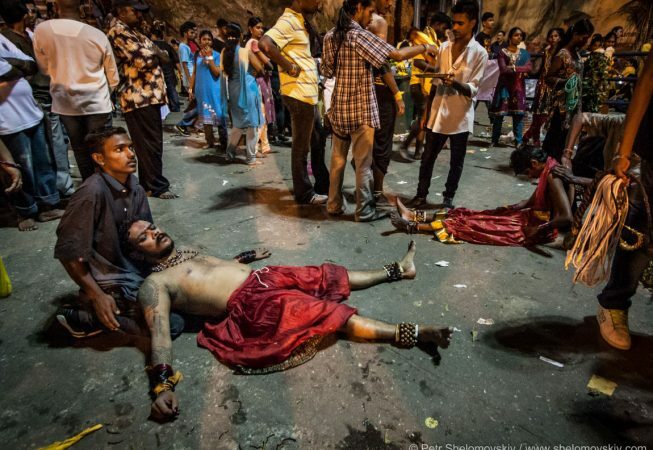 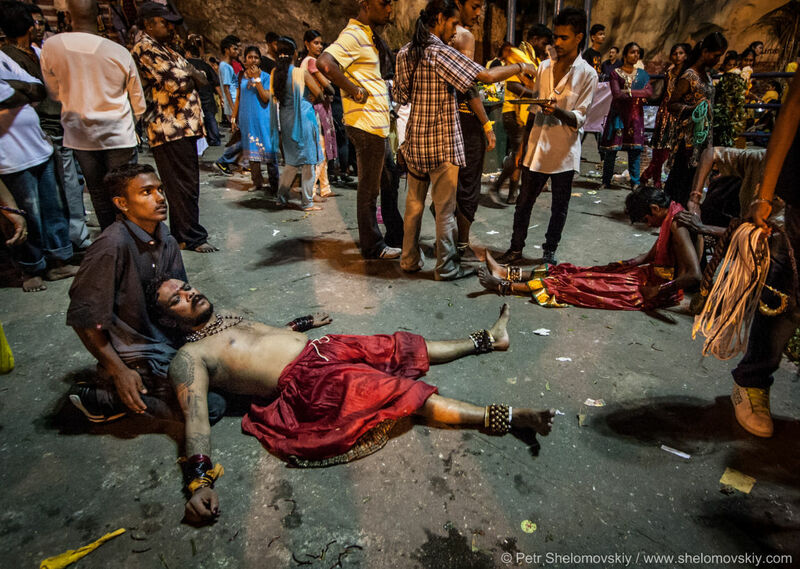 At the caves area the most prepared devotees enter the trance, where they don’t feel pain, pierce their bodies with hooks and spikes and as believed are possessed by Kali goddess or her guards.